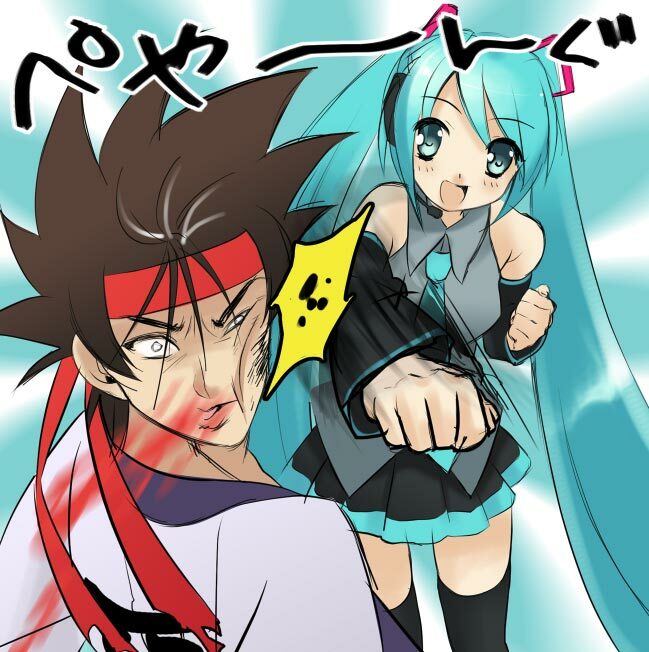 Miku and Sanosuke. . Wallpaper and background images in the animé club tagged: anime vocaloids hatsune miku rurouni kenshin sanosuke sagara cross-over. This animé fan art contains anime, bande dessinée, manga, and dessin animé.